Last week was our kids’ ski week, which should really be called beach week when you live in California, but we headed to the mountains anyway. And look!, there was a teeny tiny bit of man-made snow! Since I’ve been enjoying quality time with my little people (and taxes), there hasn’t been a whole lot of writing around here lately, but I had some other things I wanted to share. Pink really wishes she could sing this post to you…so just imagine that she is, if you would. First of all, Huffington Post Parents featured this little piece of my heart yesterday. Since we’re still battling tear-stained pillows, it was a good reminder of how much love is in this rental house. Sometimes it’s hard to see with all the unpacked boxes in the way. Also, PopSugar Moms discovered a piece I wrote over a year ago and asked if they could feature it today. Given my post about beauty last week, the timing is kind of amazing. (It’s not too late to chime in on that one too. I love the comments so far!) 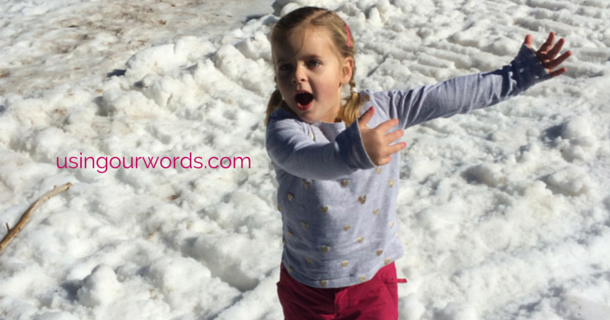 I’d love to hear from you…how do you feel about telling little girls that they’re beautiful? Thank you for forgiving me for being a bit quiet lately…I’m working on embracing my messy self too.